If you’re thinking about revamping your standard issue homes, then don’t forget to pay special attention to your bedrooms! Many people just buy some beautiful furniture and consider the bedroom interior design done. We’re here to tell you that it is so much more than that. You can do a lot with your bedroom designs if only you can get the right inspiration. So today, we will be featuring 5 awesome bedroom design ideas that will surely inspire you to redo your new bedrooms. They’re unique, classy and will suit universal interior design tastes! 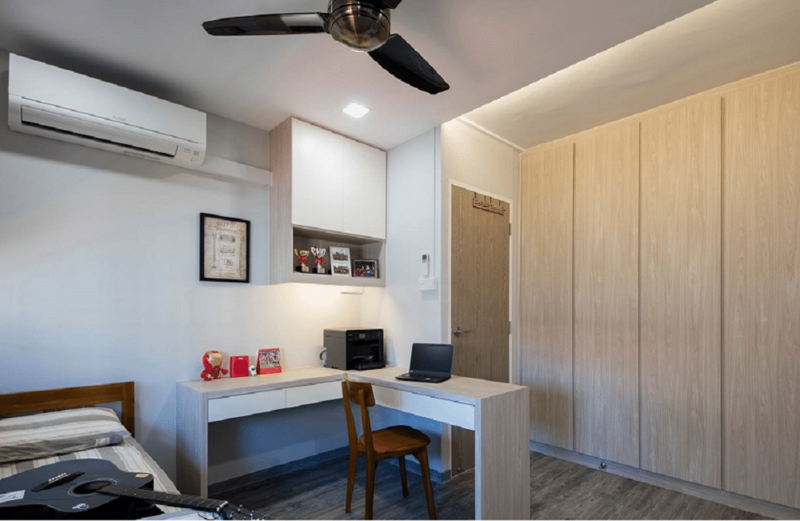 This bedroom design tackles the problem of creating maximum storage and circulation space with a beautiful, contemporary style aesthetic. The two-step platform bed creates a large amount of under-storage space beneath the steps while leaving half the bedroom open for circulation. The polka dotted bed covers add a playful touch to an otherwise sleek design. It’s a wonderful design for a small sized bedroom. If your bedroom has an asymmetric layout then fear not. Here’s what you can do about it; decorate all the nooks and crannies with feature art objects. A painting that matches the overall color scheme of your bedroom would be a nice touch. Make sure that the bed remains the centerpiece of your room and the rest of the décor is less eye-catching in comparison. This will give your bedroom design a nice focal point. If elegance and simplicity are your desired aesthetics, then you’ll absolutely love this minimalistic bedroom design. 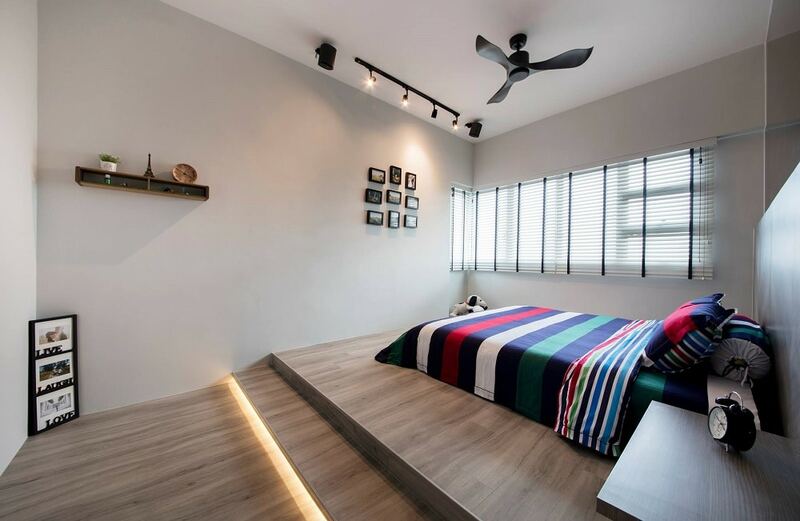 Its platform bed is elevated on a dark wooden themed floor. The pure white walls sporadically decorated with photo frames give tis room so much more dimension without any obvious decorative features. You can add a dash of color with your bed sheets as well. A bedroom design that is the epitome of homely can make user experience extremely relaxing. 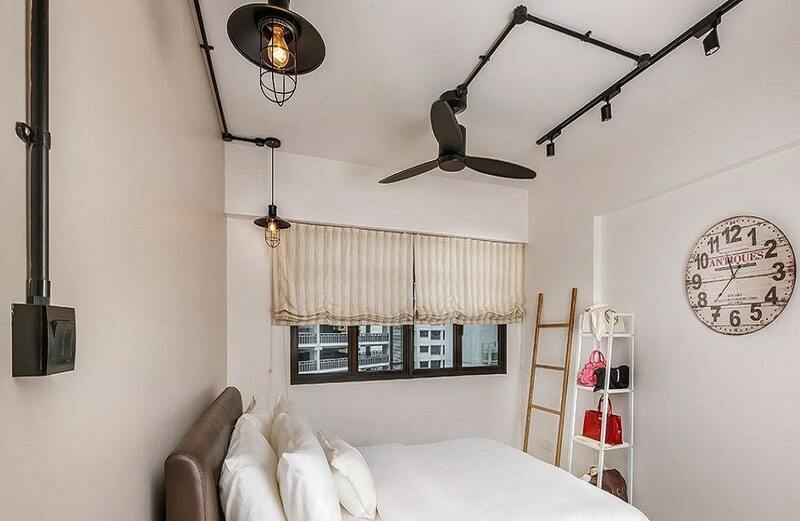 If you look at this bedroom, you can see how the designers have used the small space in their favor. The small decorative accoutrements highlight the coziness and personalized feel of the bedroom space, but the white color scheme keeps it from looking too cramped. 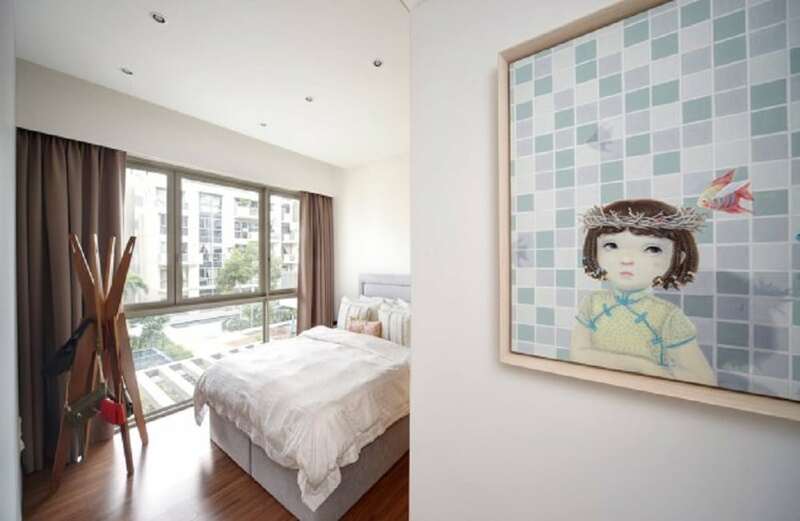 You can successfully design any small bedroom with a personal flair this way. If you have a large bedroom space then you can definitely design it for more than sleeping and relaxing purposes. It can be a part closet, part study room and part bedroom. The tricky part is balancing out all these functions in individual ways. The best way to do that is by compartmentalizing. 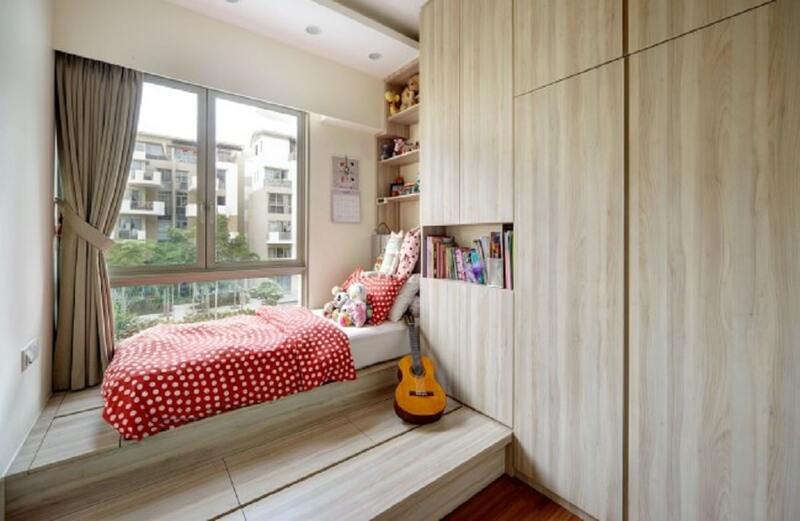 Your bedroom can be one half while the study and closet can be in the other half. This way, there can be less psychological intervention between spaces.